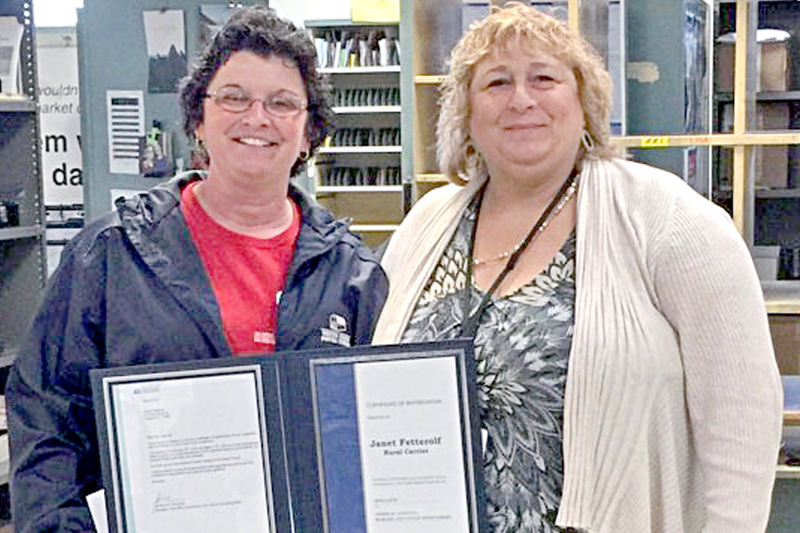 Hegins, PA, Rural Carrier Janet Fetterolf was in the right place at the right time — twice — for customers who needed help recently. During the first encounter, she was delivering mail to a man who lives alone and was confused about the day’s events. Fetterolf called one of his relatives, and the man is now doing well after receiving medical attention. 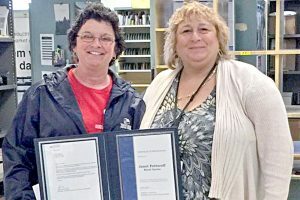 Several days later, a growing stack of mail in a 101-year-old customer’s mailbox led Fetterolf to check on the man, who had fallen. She enlisted the help of neighbors to assist him, and he is recovering after being hospitalized.